Niche Web App Design & Development. Web App, Design, Development and WordPress. Based in Peterborough, Cambridgeshire, TDN Group advised us that they wanted to take Paintless Dent Removal (a skilled and sophisticated technique used for removing dents out of vehicles) to the masses and make it mainstream. We already had an understanding of the industry since working on other product launches with them and this made things easier to strategise along teh way . We relished the challenge of developing something truly brand new and relatively niche, which would break new ground, making the entire industry stand up and take note. The goals of the project were to; build the new website, build something which would be truly unique, grow traffic online from a standing start, and generate a new buzz about the product. We, by our own namesake, were prepared to be brave enough to take on this project, whilst being fully aware of the potential pitfalls TDN would need to be prepared to overcome. 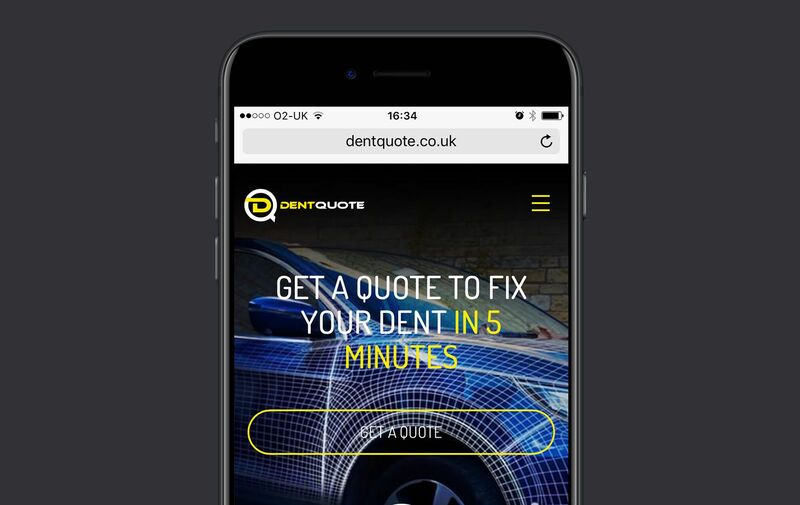 We were commissioned to develop a brand new, intuitive and incredibly simple website which: demystified and explained how paintless dent removal can be less labour intensive, attractively priced, and also allowed customers to get an instantaneous estimate for any repair work by completing a simple quote builder application. The project was always planned in such a way that it would over time, become nationally recognised across the whole of the UK. Brainstorming with our client, Jordan, on what he thought would work, using our experience and knowledge of creative engagement, mobile responsive design, and user experience design to wireframe and plan out a new website www.dentquote.co.uk. The steps of the quote builder were meticulously planned out so that they remained clear, intuitive and easy to understand from a user perspective. Our objective, as always with any such project is quite simply to optimise conversion, generating as many new leads and quotes as possible from the traffic being driven to the website. One of the challenges was the task of integrating ServiceM8, a field service management app which empowers small business to thrive and manage their processes in a more efficient way. By integrating the system, this allowed Dent Quote to work with a powerful communication tool, improve job despatch times, quote faster and invoicing swiftly. With real-time transparency on job statuses and field staff location tracking, ServiceM8 streamlines the way they win work, complete jobs, and get paid. We have delivered a stunningly creative, highly bespoke, custom developed website and web application which resides on the WordPress platform. 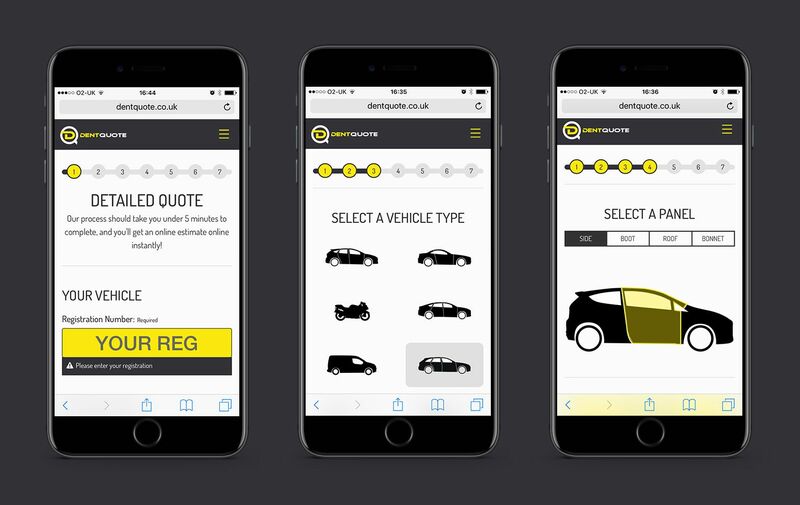 Integrated into the website is a 3rd party DVLA lookup search, so that customers need only enter their vehicle registration number into the application to retrieve and confirm their full details. 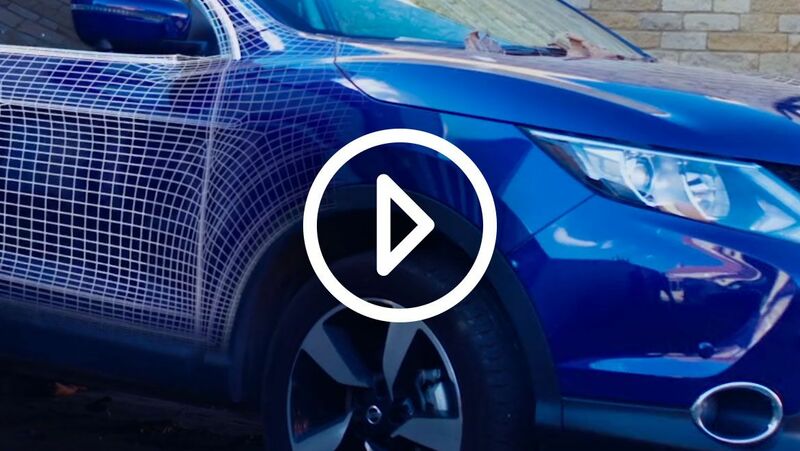 We have also developed a highly bespoke dent selector process which offers potential customers the ability to build an estimate based on the location of the dent, panel material, dent type and dent size. We have also integrated the project into another 3rd party web application, which receives customer and quote details from the new website, so that these can all be managed effectively once a customer has committed. New quotes can be converted into work and jobs can be scheduled and assigned to technicians all over the country with relative ease. Brave has risen to the challenge to provide a great start for TDN Group’s latest offering, DentQuote. Not only have we developed a stunningly engaging website, but also delivered an intuitive user experience which is clear and simple. We have then underpinned this with solid custom development and integration with 3rd party technologies to provide DentQuote with an elegant, yet sophisticated, fully digital solution. On the foundation we have undoubtedly helped to create, TDN now have the the ability to scale this new business idea rapidly, without any major snagging along the way. 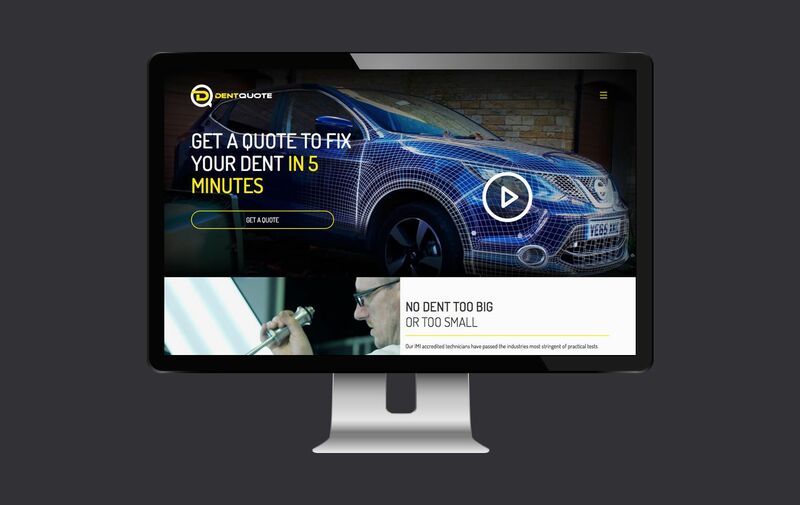 We have every confidence that with the right marketing strategies in place going forwards, DentQuote has every opportunity to become a market leader in the industry and a brand which becomes synonymous with a great customer experience.